In December 2011, the FAA established a final rule for pilot duty and rest requirements in an effort to combat the risks of fatigue in aircrews. This new regulation provides more stringent rest requirements and flight hour restrictions than were previously in place, a move that the FAA hopes will satisfy the public demands for safer flights. The final rule for flight crew member duty and rest requirements became effective on January 4, 2014. Pilot fatigue has always been an issue in the aviation world, but the topic has rarely been given much attention, probably because it is a difficult problem to measure and even more difficult to remedy. Fatigue affects people very differently. One person might tire before another. One pilot may function well on just six hours of sleep, while another requires eight to feel rested. In addition, a pilot's choices and lifestyle are an essential factor in fatigue management. 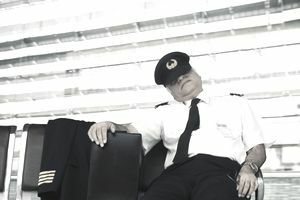 A pilot might be given a 12-hour period of rest, but may only spend five hours of that period actually sleeping. Other lifestyle factors that can affect fatigue include health, diet, and stress levels. Regardless of the variables involved in measuring fatigue, we do know that a lack of sleep causes certain errors. And in a weary economy, operators are trying hard to save as much money as possible. This means airlines are maximizing the work schedules of pilots, asking them to fly as much as humanly (and legally) possible. Old Rule: Different rest requirements based on domestic, international and unscheduled flights. New Rule: No difference between types of operations; new rules apply to all. Old Rule: Unclear language regarding "fit for duty" as reported by pilots. New Rule: Pilot must sign a document affirming that he/she is "fit for duty" and the airline is required to remove the pilot if fatigue is reported. Old Rule: Flight Duty Period had limits, but did not account for circadian rhythm or number of flight segments. New Rule: Flight Duty Period has stricter limits based on the number of flight segments and the start of the duty day. Old Rule: Reserve pilots must be given at least 24 hours off in a 7-day period. New Rule: Reserve pilots must be given a rest period of at least ten hours. Old Rule: Flight hours are limited per day and per year. New Rule: Flight hours are limited per week, per month and per year. Old Rule: Rest period of at least nine hours, which can be reduced to eight hours. New Rule: Rest Period of 10 hours, with the opportunity for at least 8 uninterrupted sleep hours. The maximum flight time during the day is now nine hours, and eight hours at night. Flight Duty Period limits under the new rules range from nine to 14 hours, depending on how many segments are flown and the start time of the pilot's duty day. In the final ruling for pilot rest time and duty limits, the FAA acknowledges that these new rules alone will not solve the fatigue problem. However, a safety system approach in which the operator and pilots both assume responsibility for fatigue management was determined to be the best solution. With this new rule in place, the FAA is now implementing mandatory updates to each airline's Fatigue Risk Management Plan (FRMP). The FAA has also proposed a Fatigue Risk Management System (FRMS) option as a way for operators to meet the regulatory requirement for fatigue management. Ultimately, the pilot is responsible for the safety of the aircraft and needs to be aware of his or her fatigue threshold. All the regulations in the world won't change that, but the new regulations are a welcome change for those pilots whose schedules are maxed out, and who are facing fatigue from being overworked, task-saturated, and possibly burned out. Perhaps they'll be able to get some rest now.